Whether its a Bridal Shower, Birthday, or Anniversary, our events manager is highly skilled at handling every detail of your event, whether its 12 guests or 100! 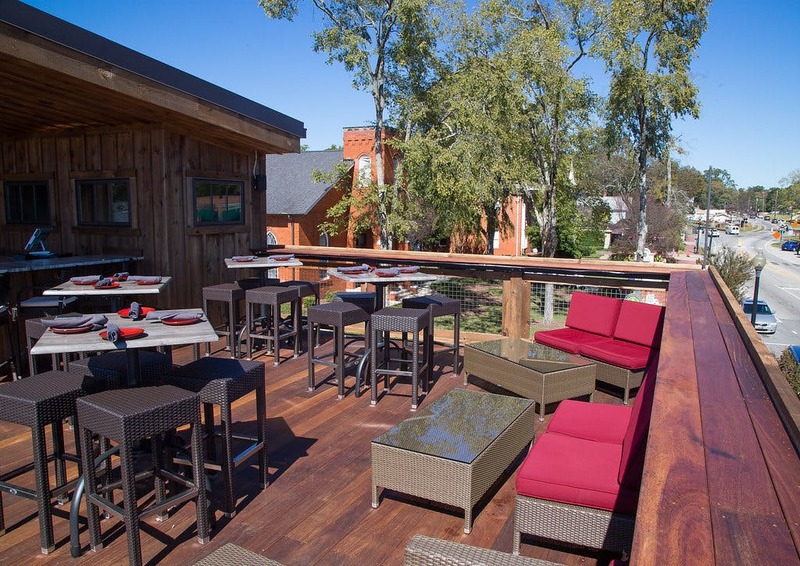 The open air venue is located atop Rootstock and Vine and offers incredible 360′ views of the lovely historic town of Woodstock GA. The person capacity is 70 total (per the fire marshall) However, if your party request is for a sit down event, please note the space is not conducive to seat 70 together. Requests for your special event can be submitted using the form in the special events page and A “Buy out” option is possible upon request. 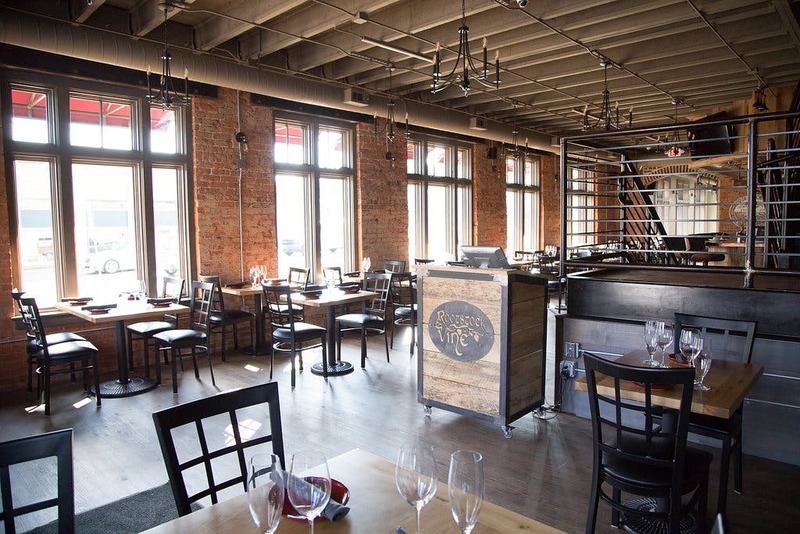 The main dining room is an interior space primarily used as a Wine and Tapas bar, serving the finest wine and bourbon drinks and pairing with elegant and tasty small plates, charcuterie and desserts. The entire space seats up to 60 guests and reservations can be requested to “Buy Out” the space. Complete the form and our events manager, will connect with you shortly. *Minimum purchase amount required, inquire for details.